White Horse Security provides several maintenance packages for home burglar alarms in Oxfordshire and Berkshire to ensure your intruder alarm and CCTV surveillance cameras are in tip-top condition, working correctly and positioned optimally. Our standard burglar and CCTV service package for home security includes a full assessment of the technical features making sure it is signalling correctly to the home security panel and 24hr security monitoring station if this is in place. As part of the maintenance we do not charge our customers for any call outs, we provide replacement batteries every two years to avoid false alarms and provide a 5 year guarantee. We also include continued access to the smart app which is free for the first year but as a member we get a hugely discounted rate which we pass on to our customers for subsequent years usage. As part of your monitored home security system or commercial intruder alarm, we have an obligation to ensure your security systems are working and signalling correctly back to the monitoring station. For White Horse Security to retain our SSAIB accreditation we must issue certificates to our customers and provide 6 monthly security check ups. These on occasion are inspected by the SSAIB during our professional annual inspection, however we will always make sure you are happy prior to any visit is needed. If you are looking to move security company's and your property is currently monitored through them, we would be delighted to provide a proposal to transfer to White Horse Security with our partners Southern Monitoring. Please get in touch to supply more information. Our team provides commercial security maintenance to clients across Oxfordshire, Berkshire and parts of London. For commercial properties you may have a full suite of security technology installed including door entry systems, intruder alarms, CCTV and fire systems. In order to continually protect your property and members of staff, your systems must be kept regularly maintained by a certified security company. ​White Horse Security can work with your existing security to offer regular servicing, checking for any technical issues, replacing batteries, reposition surveillance cameras if needed and ensure the motion sensors are operating correctly. As part of the 6 month service, our engineers will test the alarm making sure it is correctly signalling to the monitoring station. Security Maintenance for Oxfordshire, Berkshire, Buckingham and London. 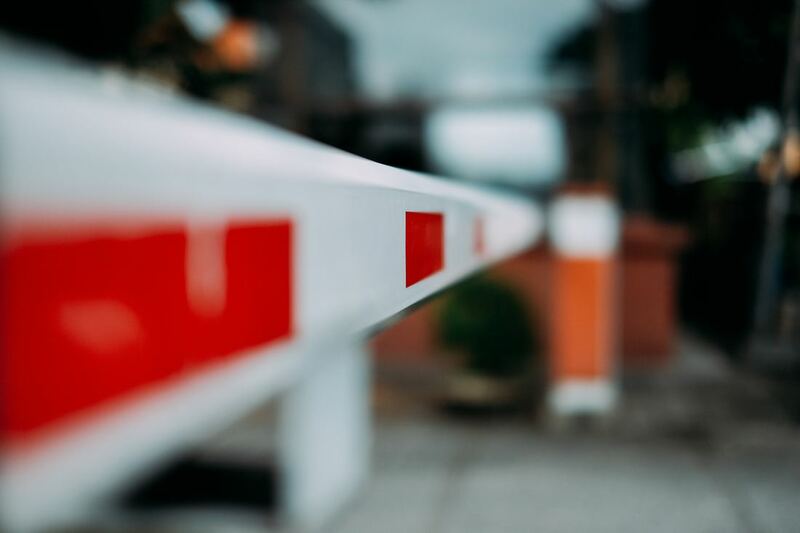 Our team can provide regular maintenance for commercial barriers, turnstiles and electric gate automation for staff parking areas or areas with restricted access. White Horse Fire and Security are based at Grove Technology Park Wantage, our team of engineers travel to residential and commercial properties throughout Oxfordshire and Berkshire including Newbury, Goring and Reading.